Perhaps just a bit of liberty has been taken in the title of this post. 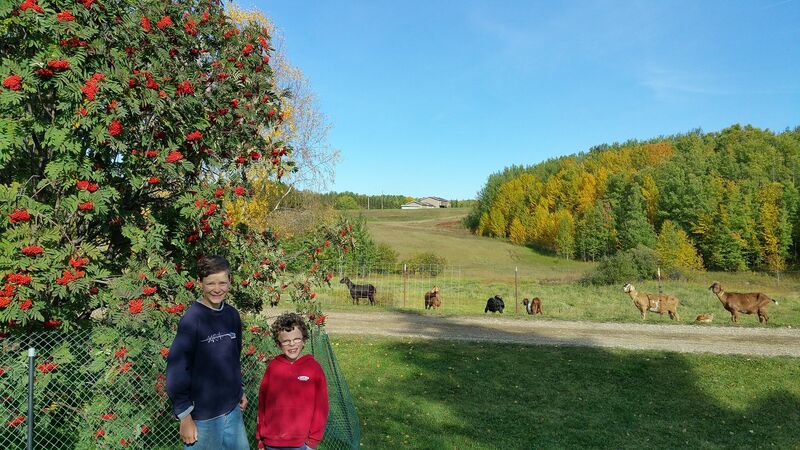 I am staying for a couple of days at my sister’s small family farm in Alberta, outside of Stony Plain (near Edmonton), while on my way to BC for a work-related meeting. The main purpose is to visit with the family and my mother who lives with them but they do raise goats and chickens so I am taking the opportunity to learn from their years of experience. Nephews Matthew and Ben with some of the goats in the background. Weather is much cooler here with a number frosts in the past week or so. 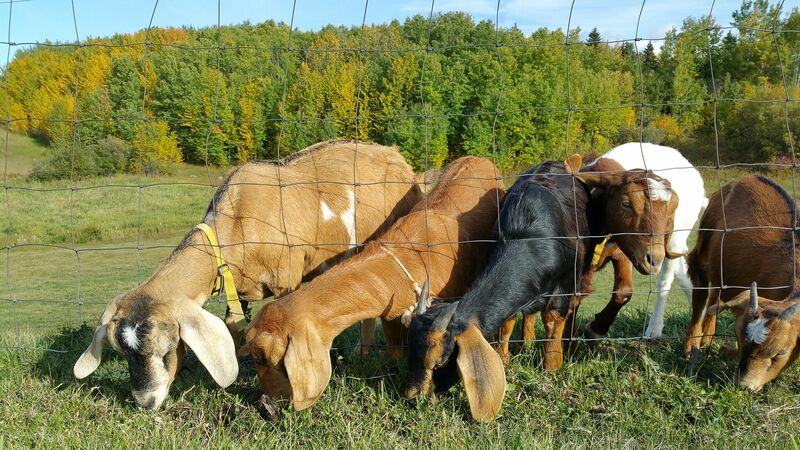 The goats are a Nubian-Boer cross. Both are meat breeds;, the Nubians are their preferred breed because of their personality but the Boers have been added to increase size. The family raises Isa Brown laying chickens. 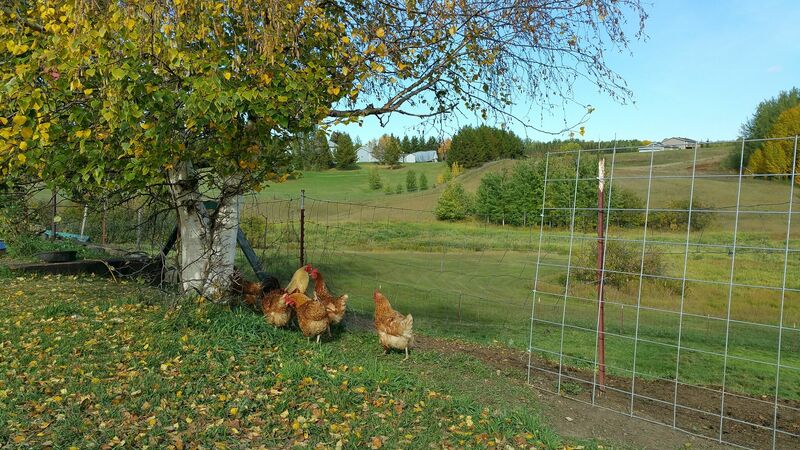 There is a strong demand for the eggs because they are pasture raised and fed organic feeds.